As part of their Chef Trials series, culinary incubator THE HYVE is organising a three-day live cook-off between a few of the country's top culinary talents – think of it as a kind of live Master Chef. The series' first stop is going down in Shanghai from Friday 16 through Sunday 18, and ticket holders can expect a daily three-course meal, cooked to perfection by aspiring master chefs whose resumes include Michelin-starred restaurants and luxury hotels. Want to bag yourself a golden ticket? We've got a pair of three-day VIP passes to give away. The chefs competing are Sergio Moreno (The Commune Social), Roger Xiao (T8 Restaurant), Peter Lin (The Middle House's Café Gray Deluxe) and Ying (Xixi Bistro), which means Chef Trials is your chance to eat the creations made by the talents behind a few of the city's top restaurants. On days one and two of the event, the chefs will face-off against each other tournament style, with the whole showdown ending with the THE HYVE's panel of celebrity judges crowning their winner on day three. Canapés created specially for the event by all four chefs, along with one drink of your choice each day, are also included with the ticket. 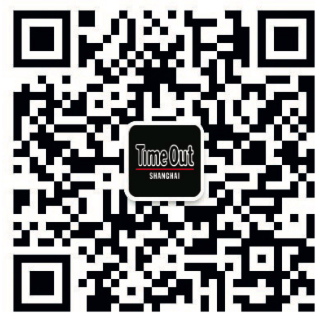 For a chance to win the pair of VIP tickets, scan the QR code below to follow the official Time Out Shanghai WeChat account (ID: timeoutshanghaieng) and send us a message saying ‘I want to win: Chef Trials’ with your name, mobile number and WeChat ID. The competition closes Monday 12 November at 10am.